WMMT photo thread, Gallery of players' WMMT cars. Hahaha! Thanks guys! I knew you'd love the camo FC. Wait for the Japanism and the Graffiti ones! They'll look ACE! Even though I have a team already, I seriously CANNOT resist this. NO LOSER, is one of the most BADASS teams there is. 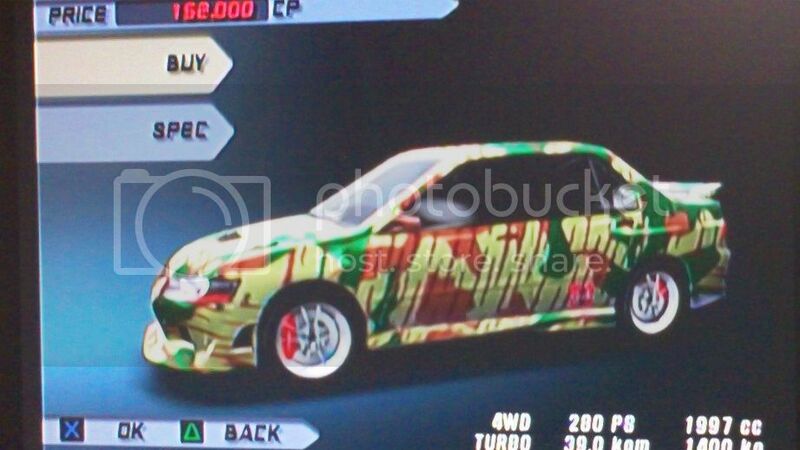 Look, I have an Evo VI waiting for the camo sticker too! :-"
It doesn't look good as I have hoped. I am sticking with Dragon one. Gunma, E5 kits all look hideous compared to the E6 kits. Plus, aero C looks like Naniwa's Warship's kits in TXR3. P.K813, Do you have team stickers available in Japan already? The one on the windshield? Yes, team sticker is available in Japan right now. Sounds like TXR/Shoutokou Battle 01 teams is popping out...WE NEED JINTEI ASAP!!!! and dat Aero D red FC looks like the Red FC called Pursuit Tailgunner....and Gunma go make Zero..And for some reason theres a Boss in Nagoya called "J"...is our The J in teh forums somehow related??? maybe Blood Hound also...anyone here has Aristo present card lol? I meant Aero C of E6 looks like Naniwa Warship. Totally Pursuit Tailgunner. But he has a stock wing IIRC. Hell, My team will be the unofficial "Rolling Guys" since our requirement is to have at least one AE86 when it's released. EDIT: Nevermind, Aero A of E6 looks a lot closer to Naniwa Warship's kit. E6 Aero C = Tommi Makinen Edition =/= Naniwa's Warship. I might say Aero A is the closest but E5 aero C's more accurate less the extensions in the front. Jintei's possible; I forgot which level but the Competition sticker and a custom blue R34 will best fit Jintei along with Aero E, GT double layer (lv. 89) wing. WE NEED BUDDHA STICKER ASAP. 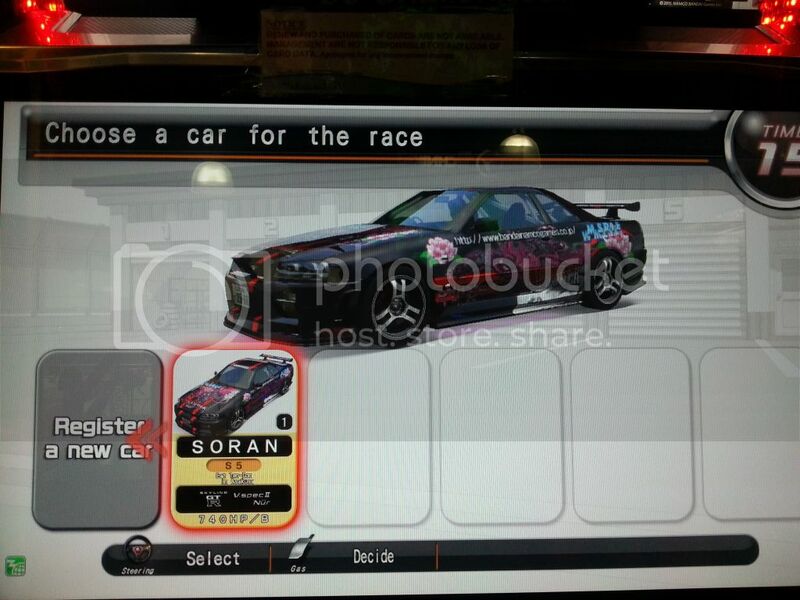 You can also make team D3 (Nagoya Boss) with the Champion Stickers (if we get the Japan Challenge in our next patch) - all you need are 3 Supras (white, silver & black respectively) Aero C or Aero E, GT 3D wings (I forgot their rims) and 3 champ stickers that may represent the Rook/bishop/knight (depending on how accurate you can get and depeding on what we've got). i think we already got the The Knight here...This...if only it came in black..
What happens when God's Foot goes to Tokyo, thinks he is 30 years younger and wants to fulfil his bosozoku fantasies? That reminds me of Brian's Evo VII from 2F2F. In the movie it was an Evo VII...good replica i guess...or unintentional colors i presume? Actually, it was race car. Decided to go extreme with Final Dress-up part; Twin Wing.